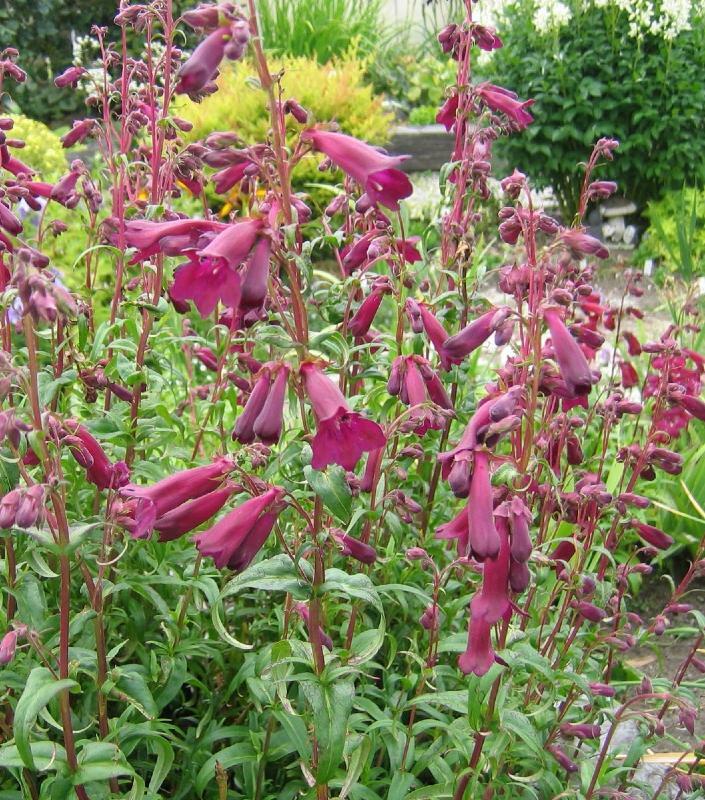 Penstemon Blackbird is an upright, semi-evergreen perennial that has narrow, lance- shaped green leaves on reddish stems. During late summer and autumn, it produces racemes of slender, tubular, reddish-purple flowers. Grows in full sun or partial shade, in a fertile, well drained soil. Hardy, although in cold areas it may need protecting with a dry mulch. Height 1m, spread 0.5m.